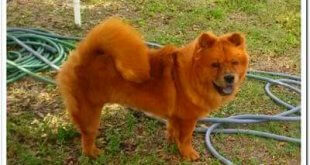 Navigation: About Chows » Dog Grooming » Should I use the FURminator Comb for my Chow? The FURminator is a deshedding tool that recently hit the market. It has proven itself as an effective tool to remove excess hair and reduce shedding, especially on double-coated dogs. 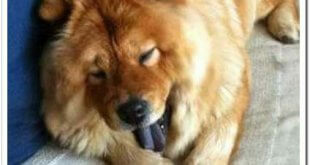 Therefore, if you are asking if you should use the FURminator comb on your Chow, the answer is YES! Below you will find an overview of the pros and cons of the product. The FURminator is made from high-quality products, has stainless steel teeth and is rake-like in appearance. You will find that the comb is ergonomic and has a rubber handle that makes it easy to grip. Depending on what type of dog you have, the comb comes in different sizes. So, What’s the FURminator Fuss all About? The FURminator is great for dogs who produce what we call “Tumbleweeds”, as it is an effective tool to cut down on shedding. The only thing many may find a turn-off is that the brush can cost anywhere from $20 – $60, depending on what size you buy. However, if you can look past the cost and decide to give it a try, you will love the results you get! 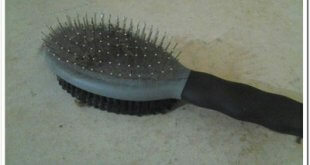 If you use the brush on your Chow every couple days or at least once per week, you will notice a large difference. The main thing you will notice is that you will no longer see so much hair flying through the air, stuck to furniture or rolling in balls around your home. Just be sure to remember that the brush may irritate a dog with sensitive skin. So, you will want to be sure not to apply too much pressure or use it too often. Keep a close eye on your dog and use your own discretion. 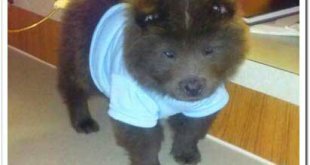 We all know that Chows have a large amount of hair and require daily vacuuming to own – but if you begin to use the FURminator comb regularly, you will notice a big difference in this category! Who knows, you may actually be able to skip a day of vacuuming from time to time.